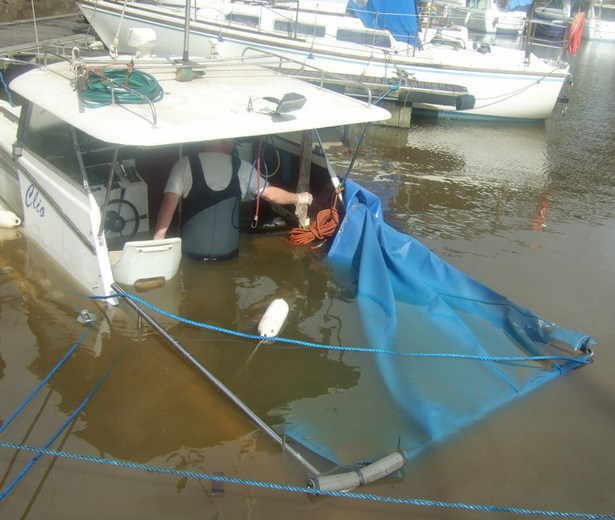 The boat was sinking on it's mooring! pretty fast! We had to get it out quickly as Diesel was seeping into the marina and posing a pollution hazard. We pumped out the water and managed to float her! 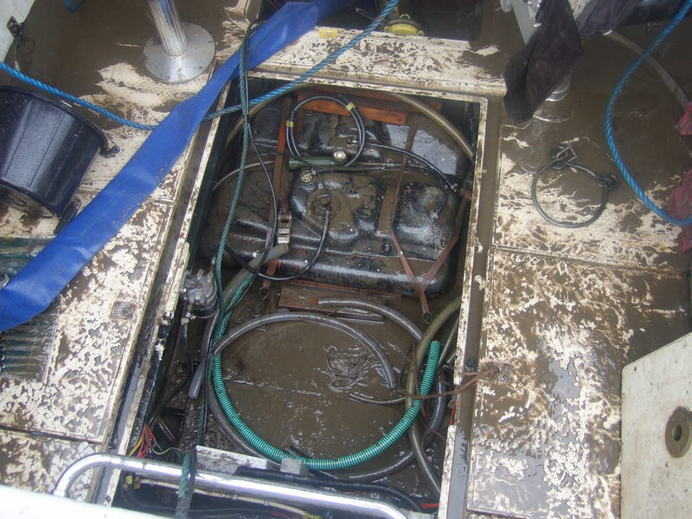 The engine was covered in sludge from the marina , as was the cockpit and all lockers etc. As you can see,it's looking a bit worse for wear! 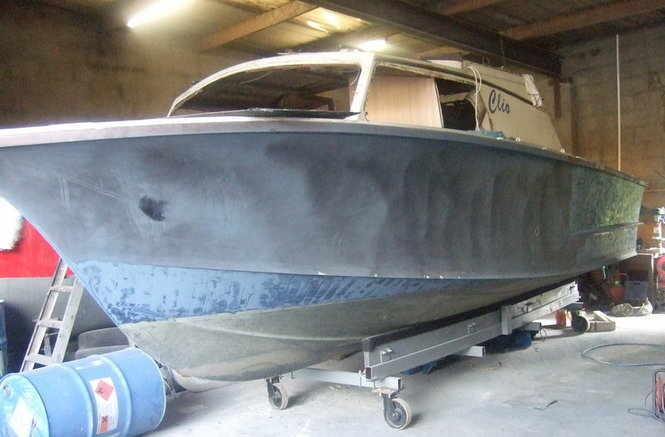 We recovered the boat from the water and took it up to our factory for extensive renovation works. The engine and gearbox were removed and completely overhauled. The interior was stripped, refurbished and rewired. 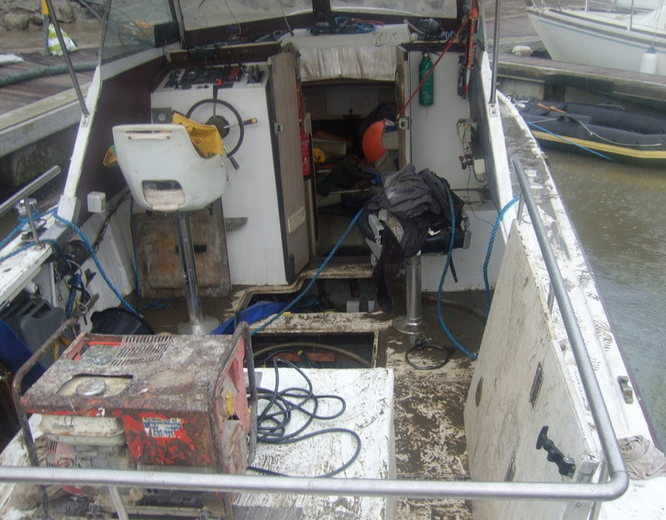 The boat was sprayed with polygloss and antifouled. New windows and steering system were installed along with stainless handrails. The finished boat ready for the water! The boat was launched and put onto a mooring and now looking completely different from the one which we recovered from the marina! A Warrior 150 with a damaged Hull! The Hull had split where the foam buoyancy ended for approx 300mm along the chine. The plywood deck was removed to enable us to assess the damage and repair it correctly. The view under the floor section.The damaged GRP was keyed up and laminated using chopped strand mat and woven rovings to strengthen the area. 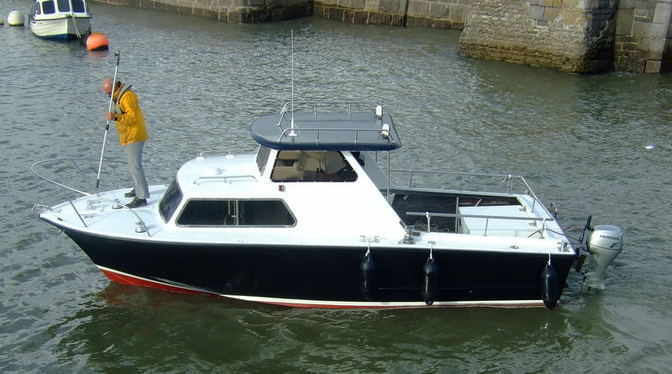 Extra Floor Bearers were fitted and bonded to the hull superstructure as requested by the owner. 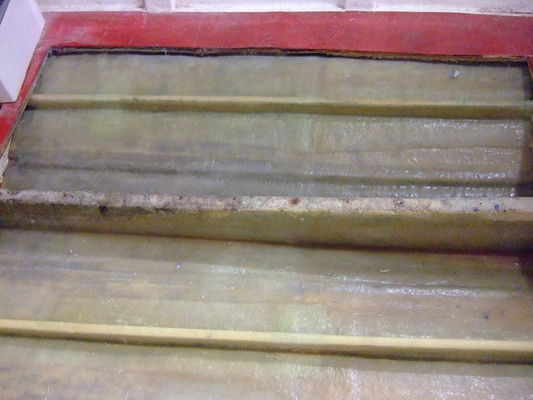 These were covered with 1200g/m2 of glassfibre to seal and strengthen. A Hardwood 19mm plywood floor was fitted to the bearers and covered in glassfibre for protection and to seal and tie in to the existing laminate. 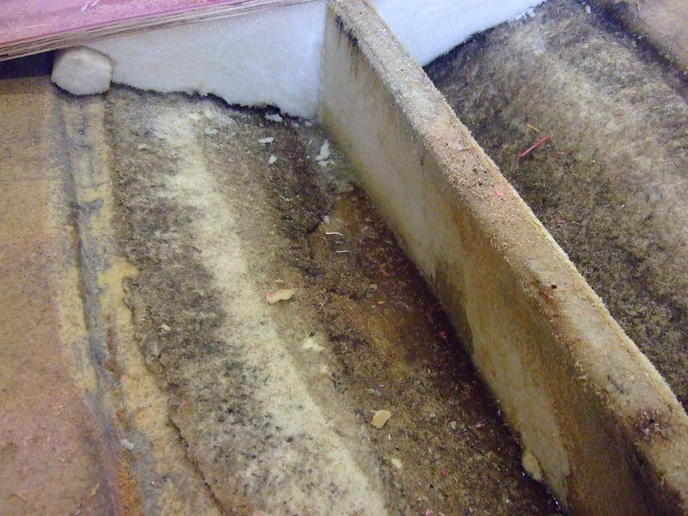 Polyeurathane expanding foam was then poured under the floor to give structural strength and buoyancy. 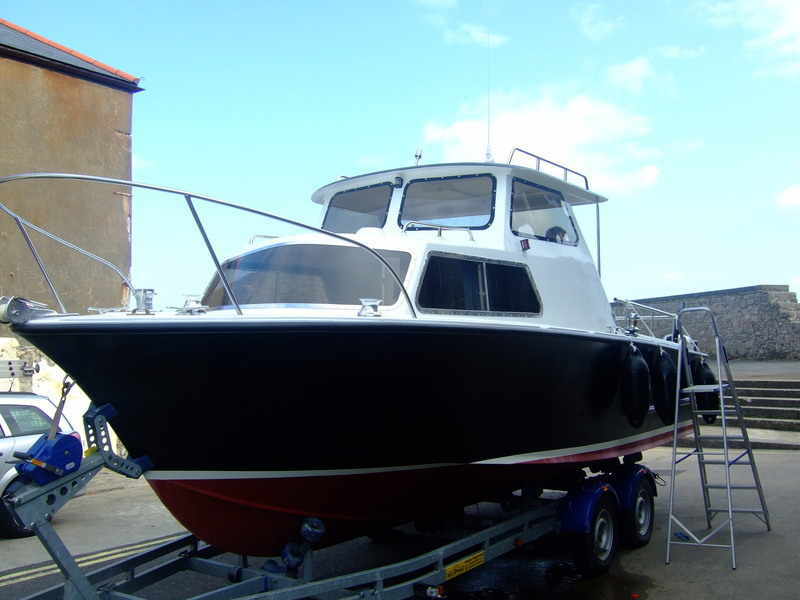 The gellcoat was repaired on the underside of the boat and the floor area was finished in a hardwearing, non-slip gellcoat. Job Done! An Alaska 500, with a floor problem! This is a serious floor problem! 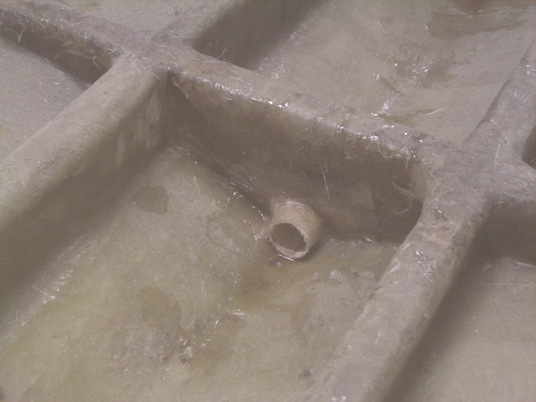 Water was seeping through the anchor locker and going under the flooring. There was no way for the water to drain away and as a result, the wood rotted from the underside until the floor completely gave way!. 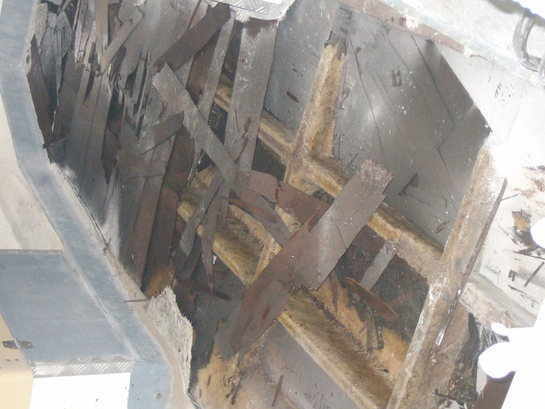 The stringers were found to be not sealed properly and as a consequence, they rotted and collapsed! The original flooring was removed and the hull was prepped. 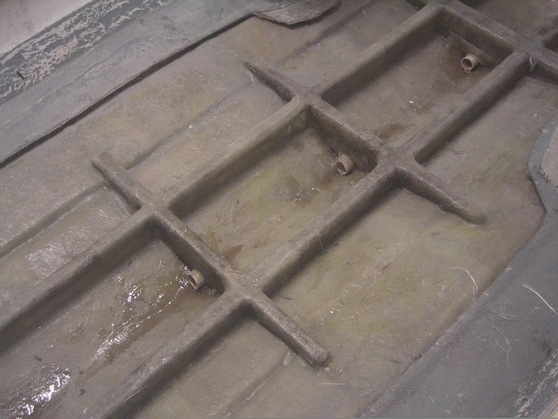 A drainage system was fitted and crossmembers and stiffeners replaced and fibreglassed. Close up of drainage pipe under construction. A New floor was fitted in marine ply . The Floor was fibreglassed and a non slip gelcoat applied. A bung was fitted at the rear of the boat, below floor level to allow the underfloor to drain if required. These are typical examples of the work we undertake. 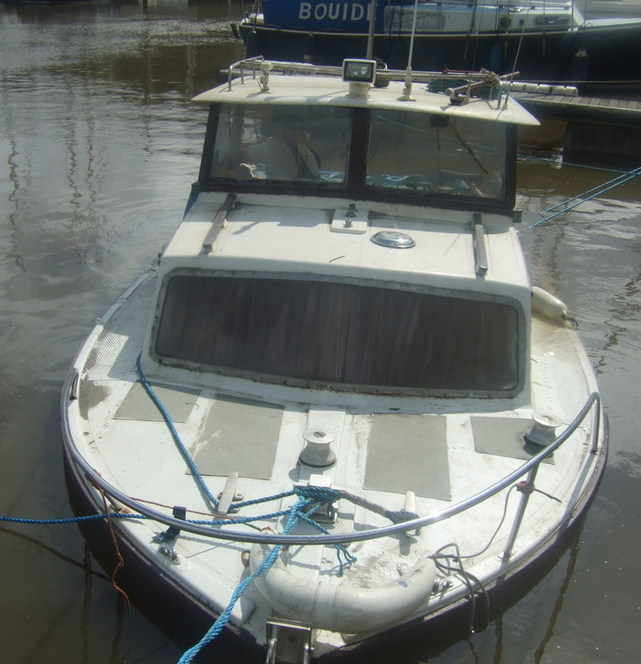 We also do structural alterations / repairs and refits at our Boatyard workshop or on site.